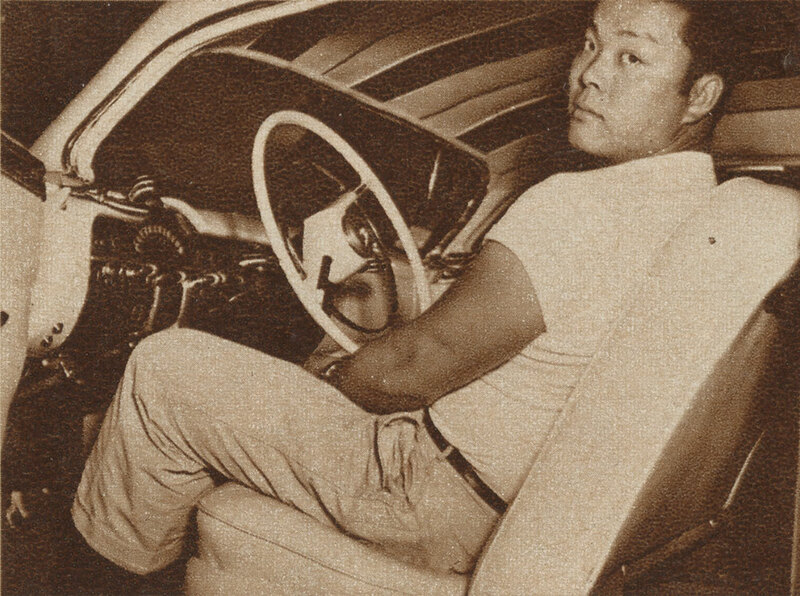 In May 1953 Bob Hirohata drives his Mercillac from California to Indianapolis. 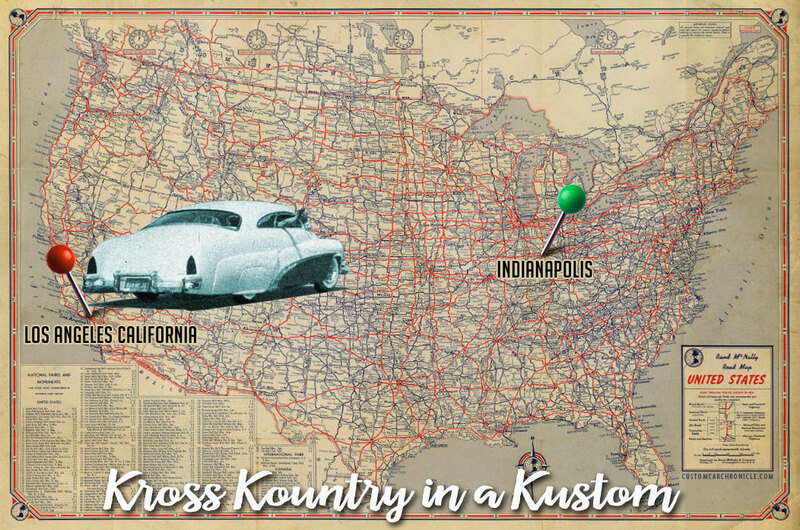 An epic Cross Country trip in an award winning custom, that still fascinates people today. 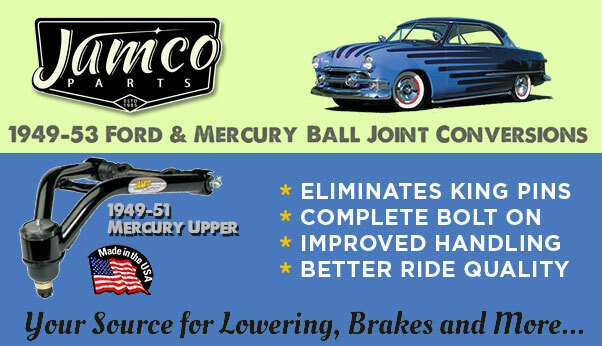 Custom Cars in the 1940’s and 1950’s were built as daily users. Unlike most show cars today, these early Customs were actually driven to the shows they attended. Even if that show happened to be on the other side of the country. 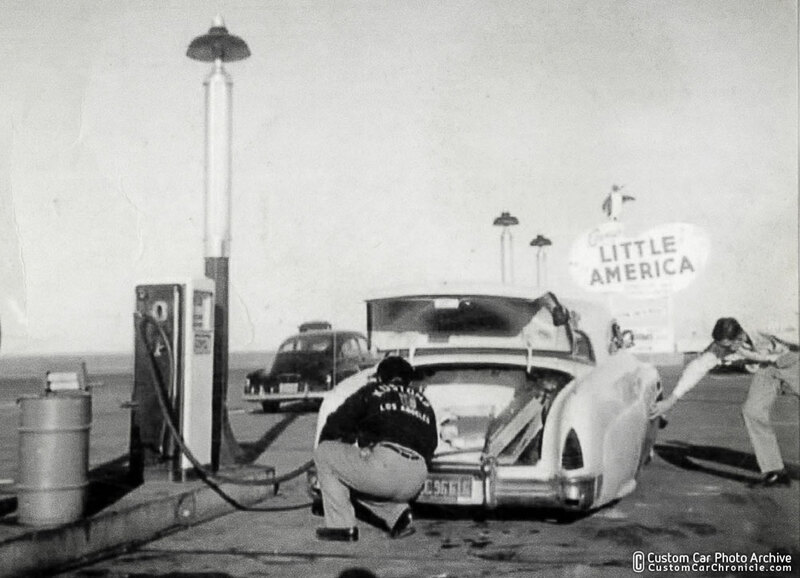 I had heard about Bob Hirohata’s epic road trip for quite some time. 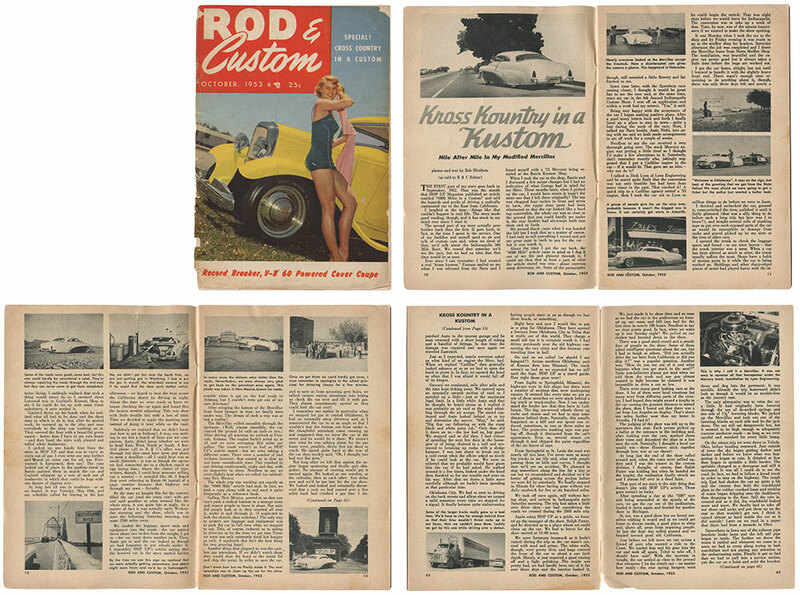 But it would take me a few years before I finally found a copy of the October 1953 issue of Rod & Custom that was reasonably priced, including shipping to the Netherlands. And when it finally arrived in my mailbox 15 or so years ago, I read the story over and over again. I looked at the small photos in the article. Trying to visually how it must have been for the viewers back then, to see a car like the Hirohata Mercury hover by, in your home town, far, far away from California. And how it must have been for Bob and his friend driving a car that low, and with the quality of the mostly two lane roads back then. What an adventure! I’m so happy that the team at Rod & Customs realized this trip was something special, and they needed to spend as many pages to is as possible. 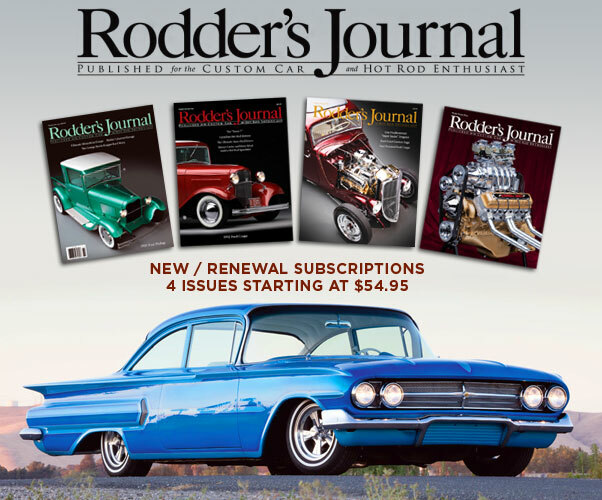 I still hope that Rod & Custom would do a re-run of this article, and goes back into the archives, to see if there possibly are more photos taken by Bob from that trip, that were not used in the article. How nice would that be! But even if they only have the photo already used in the 1953 article, then it still will be so good to see them, larger, and with modern day printing techniques… or perhaps even as an online article. R&C editors… hope you are reading this! 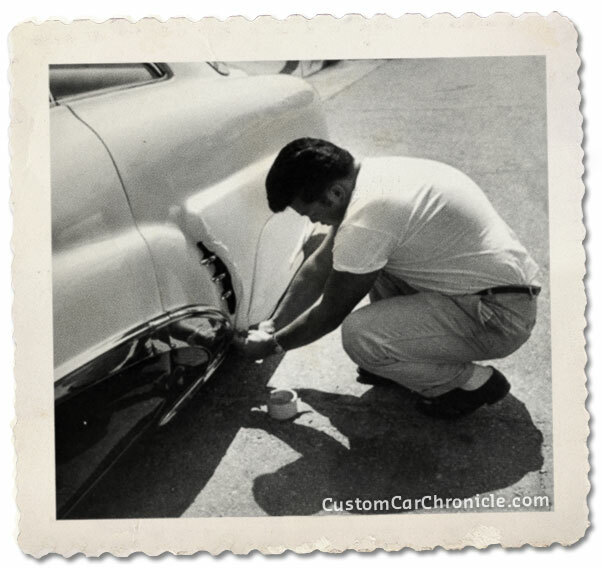 Bob Hirohata protecting the quarter panel scoops and fender skirts with multiple layers of masking tape before the trip started. 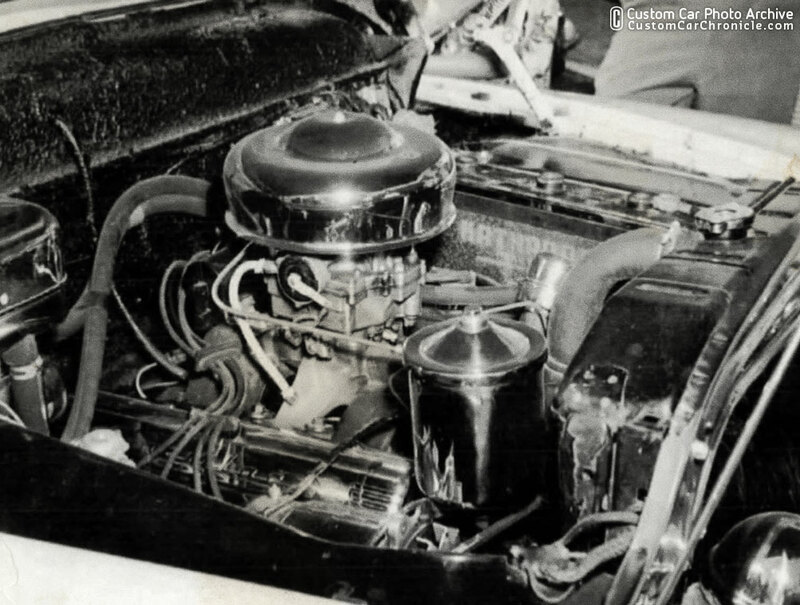 A brand new Cadillac engine was installed days before the trip begun. 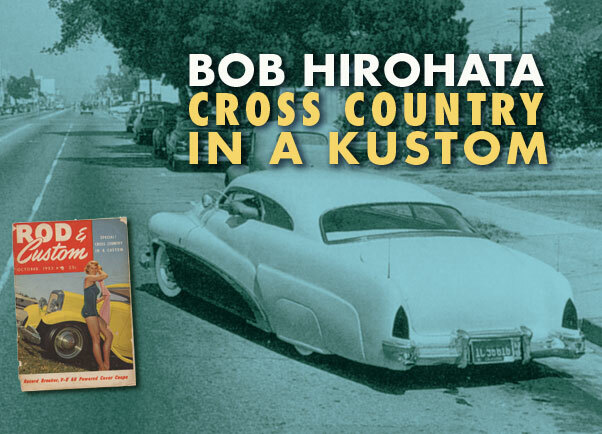 The story in Rod & Custom was written down by the R&C editor (there was no name listed for this) as how it was told by Bob Hirohata. Every time I read the article I feel like I’m on the passenger seat with Bob, so both Bob did a great job telling the story and the editor did a great job putting it down on paper to get the right feeling. 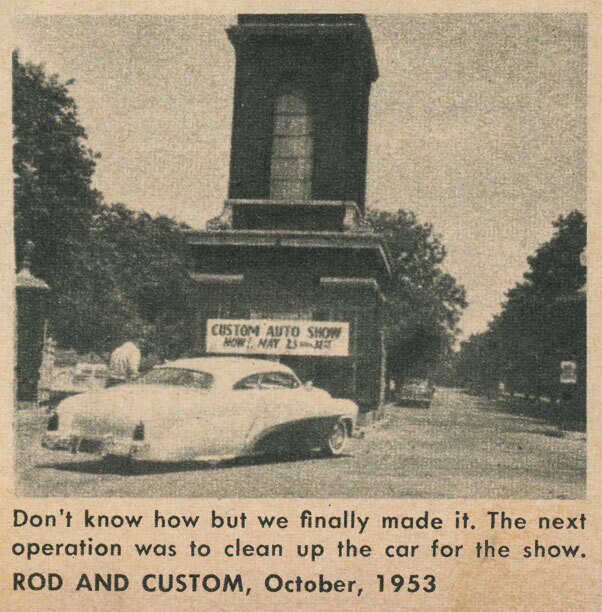 Bob mentions in the R&C article that the article “6000 miles in a Custom in the September 1952 issue of Hop Up magazine, has alway inspired him a lot. And ever since he read that article he wanted to do a similar trip. Bob and his navy buddy Azzie Nishi had talked going to the Indianapolis 500 one day. 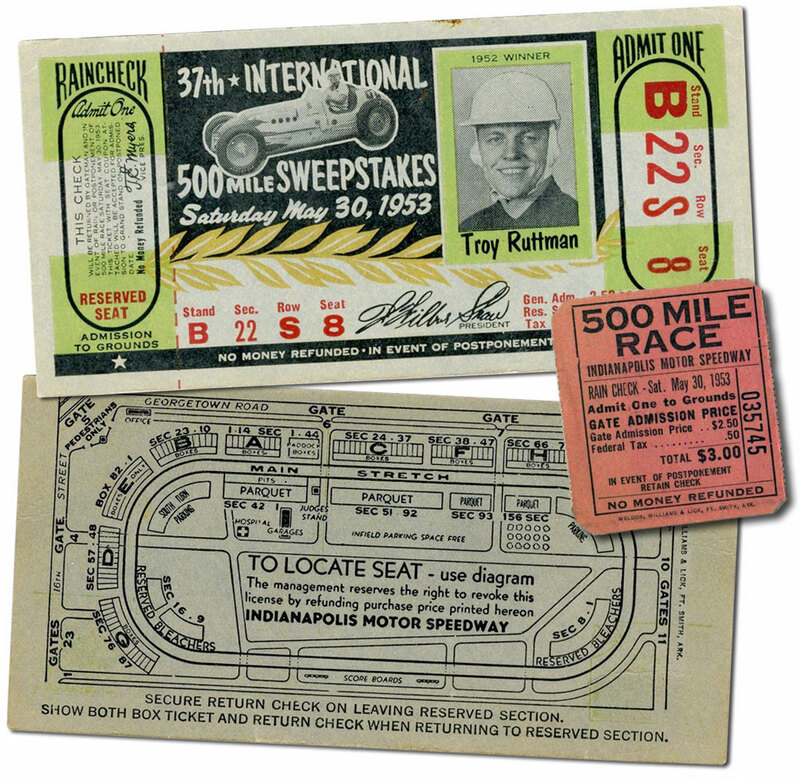 And when the 1953 race was coming up, and it turned out this could be combined with the 1953 Indianapolis Custom Auto show, Bob decided it was his time to go on the cross country trip. The amazing thing about this cross country trip is that Bob’s Mercury was an award winning custom. 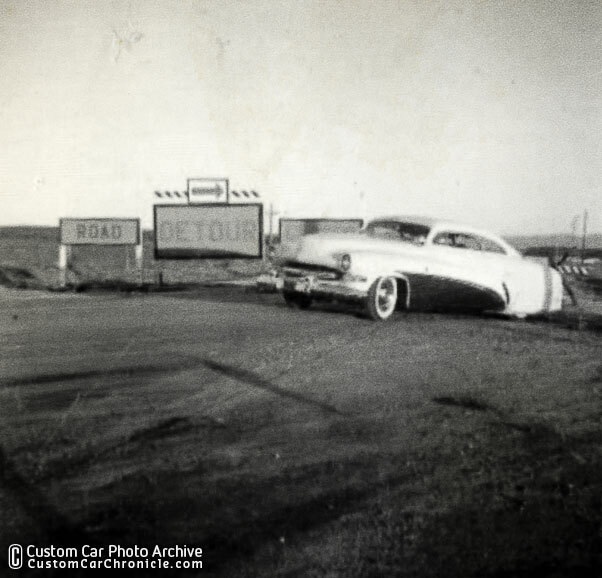 by the time Bob went on his trip the car had won many awards, was featured on the cover of Hop Up magazine (March 1953) and Motor Trend magazine (March 1953) and featured in the even more popular Hot Rod magazine (also in March 1953). 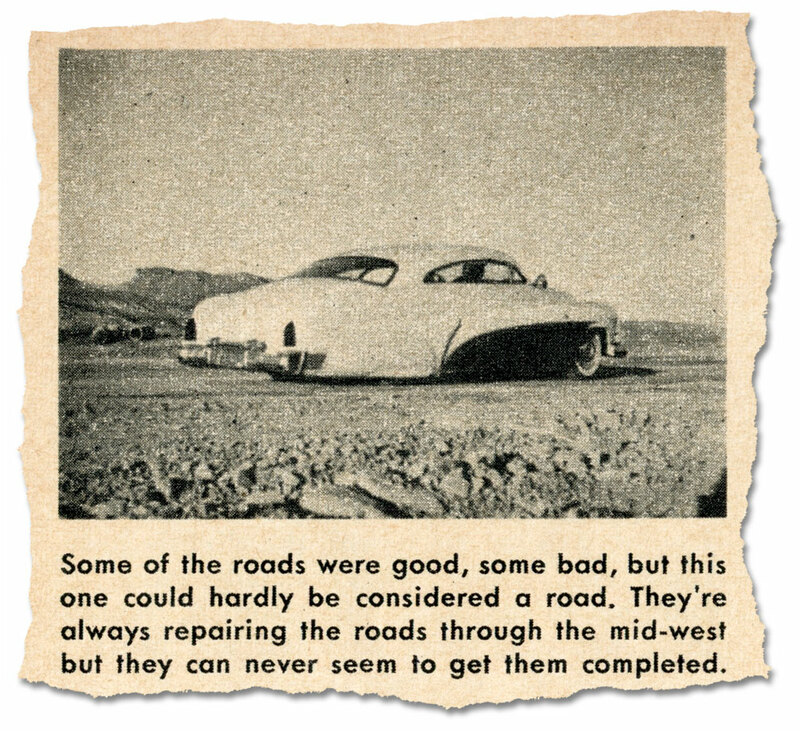 But all that did not prevent Bob from going on this trip, of which he knew from reading Spence Murray’s story in the 1952 Hop Up magazine, that it would be full of rough roads and long empty roads. 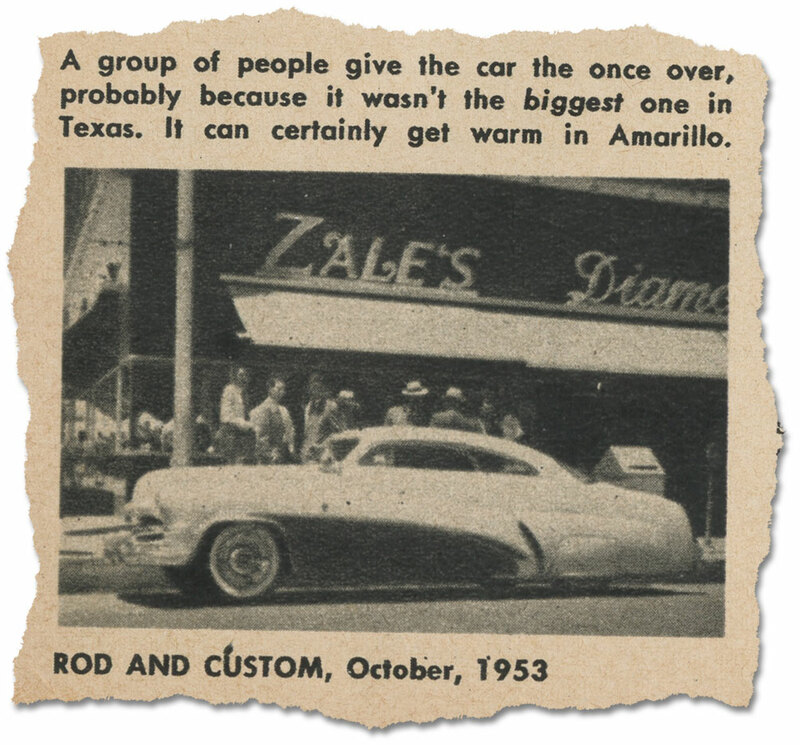 The October issue of Rod & Custom magazine devoted 6 and a quart page to Bob’s travel story. A lot of pages for a single story, especially in those days. 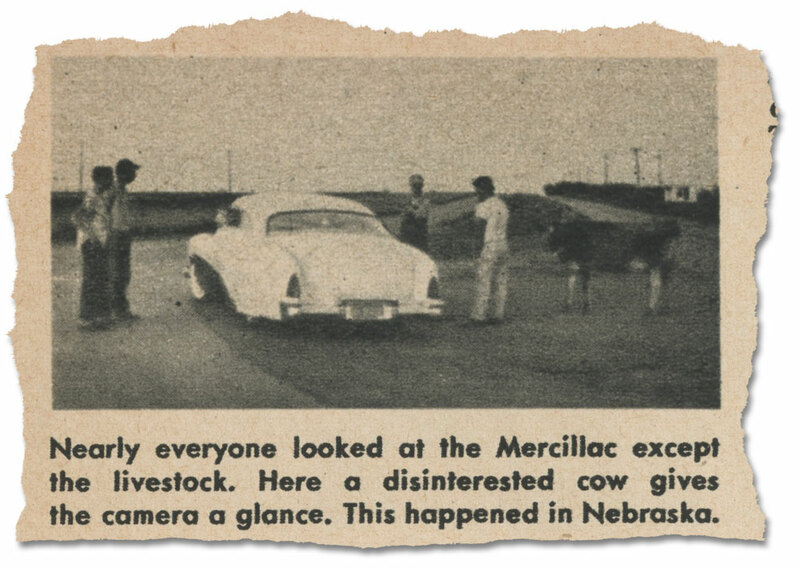 The article also mentioned Bob had nick-named his Mercury the “Mercillac”. My guess is that the trip of the Hirohata Mercury, or the Mercillac as Bob called it in his article, must have put huge smiles on peoples face. Quite a few car enthusiast who saw the car on its trip must have recognized it from the Hop Up and Hot Rod magazine features. 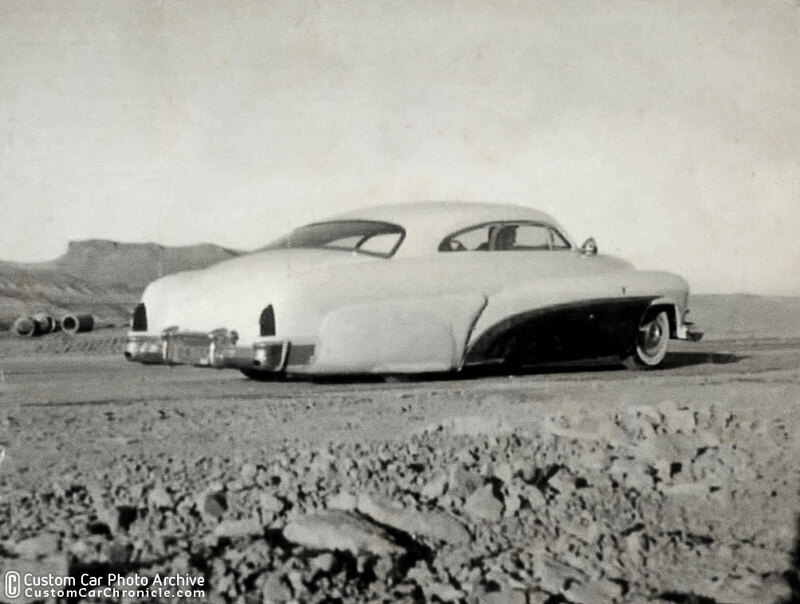 An most likely the Hirohata Mercury was a car they dreamt about, but knew they would never ever see in person. And now this ultimate custom drove thru town… hovering only inches above the pavement. A car with such wonderful lines and bright color contrasting with everything else on the road then. I’m not sure if this R&C article inspired other people to do similar trips, but my guess is yes it did. 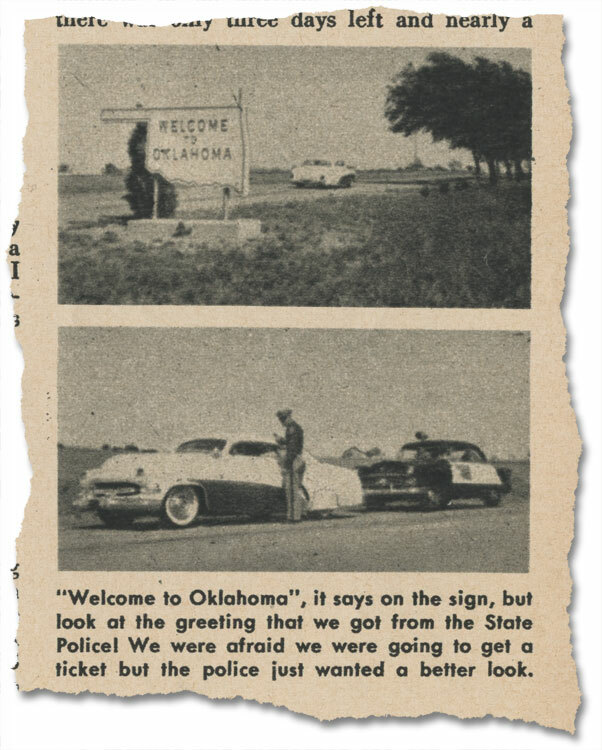 Even 60 plus years later I get the urge to go on this same road trip. Cross Country in a Kustom. 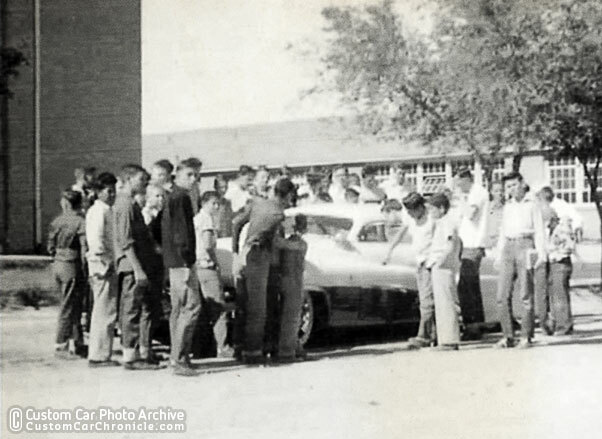 In 2011 I had the pleasure of being the passenger in the Hirohata Mercury when Jim McNiel asked me if I cared for a short drive in the parking lot of the NHRA Museum in Pomona (see CCC-Article on this experience). This short ride along was already epic for me… So the cross country trip Bob and Azzie taking several days and sleeping in the car, must have been pure heaven. 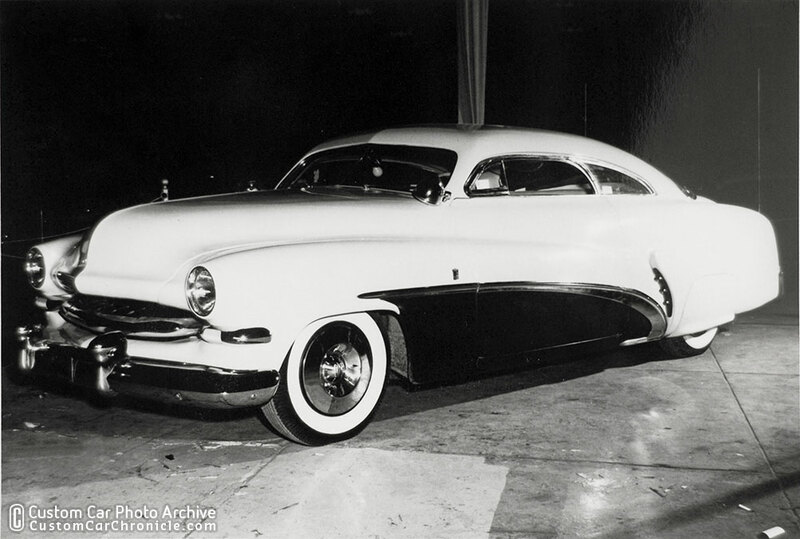 This is the only photo we have been able to find of the Hirohata Mercury at the Indianapolis Custom car show in 1953. Hopefully more like this will show up in the future. At that time this would have been an epic journey in any car. Let alone the Merc. No cell phones. No Gps. 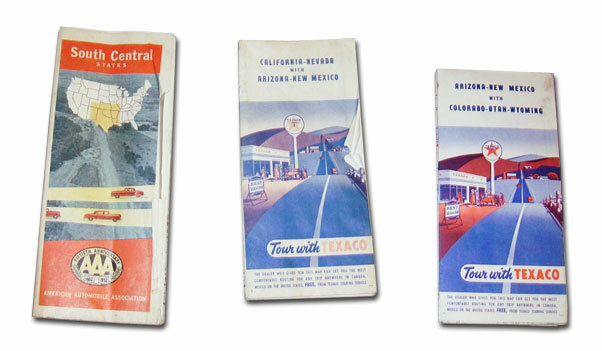 No real Interstate highway system as we know it now. Just a lot of 2 lane roads. Man that rear 3/4ish view on the dirt road really shows what an incredible profile and stance this car had. It must have been crazy seeing it cruising down the roads. I love these kind of stories of customs doing what they do best and that’s cruising our highways and looking cool. 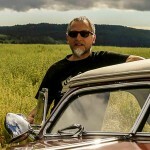 Bob was a real car guy will to take on such a trip in the day without all the goodies we have today in travel aids. Now, where do I find an Oct. ’53 R&C mag. I’m sure Bob’s trip had a major influence on any young car guy that was lucky enough to see him traveling. I bet even some hot rodders began to want a custom car after seeing it. 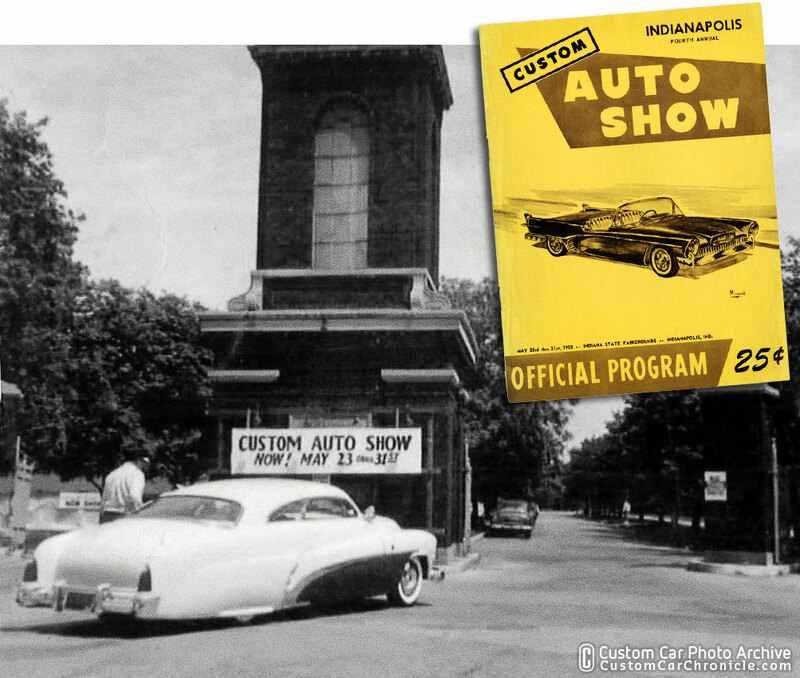 The photos of the trip show his merc with the (1948-52) Cadillac sombrero and later (1953) model Cadillac hubcaps at the Indianapolis show. Do you think he took them along and swapped them for the show, or did he buy them at Indy? I know custom guys wanted their car to be very modern.